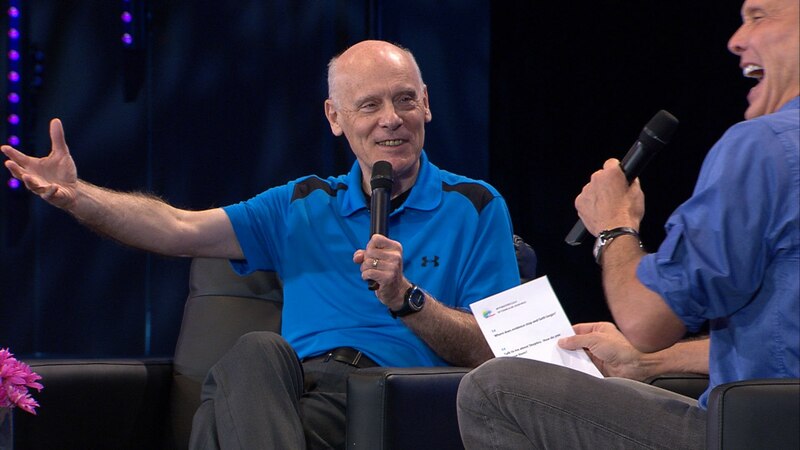 Dr Hugh Ross | Does Christianity Make Sense? 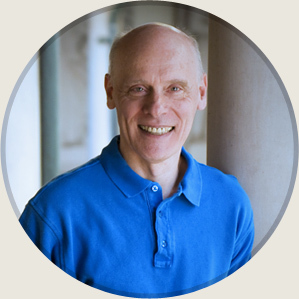 Dr Hugh Ross is a Canadian American astrophysicist. He earned a BSc in physics from the University of British Columbia and an MSc in Astronomy and a PhD in Astrophysics from the University of Toronto. He was also a postdoctoral research fellow for five years at Caltech, studying quasars and galaxies. His Ministry is called Reasons To Believe. I was born in Montreal and raised in Vancouver, Canada. My parents were morally upright but non-religious. Our neighbors could also be described as non-religious. I did not know any Christians or serious followers of any other religion while I was growing up. Though my neighborhood was poor, its public schools were outstanding and its libraries well equipped By age seven I was reading physics books as fast as I could check them out. By eight I had decided to make astronomy my career. In the next several years my study of the big bang convinced me that the universe had a beginning, and thus a Beginner. But, like the astronomers whose books I read, I imagined that the Beginner must be distant and non-communicative. My high school history studies disturbed me, for it was obvious that the peoples of the world tended to take their religions very seriously. Knowing that the European philosophers of the Enlightenment largely discounted religion, my initial response was to study their works. What I discovered, however, were inconsistencies, contradictions, evasions, and circular reasoning. The obvious next step was to turn to the “holy” books themselves. If God the Creator had spoken through any of these books (and I thought He probably had not) his authorship would be obvious: the communication would be perfectly true. I reasoned that if men invent a religion, their teachings will reflect human error. But, if the Creator communicates, His message will be error free and just as consistent as the facts of nature. So, I used the facts of history and science to test each of the “holy” books. Initially my task was easy. After only a few hours (in some cases less) of reading, I could find one or more statements clearly at odds with the facts of history and science. I also noted a writing style best described as esoteric and mysterious; it seemed inconsistent with the character of the Creator as implied by the facts of nature. My task was easy until I dusted off the Bible that the Gideons had given me several years earlier as part of their distribution program in the public schools. I found the Bible noticeably different. It was simple, direct, and specific. I was amazed at the quantity of historical and scientific (i.e., testable) material it included and at the detail of this material. The first page of the Bible caught my attention. Not only did its author correctly describe the major events in the creation of life on earth, but he placed those events in the scientifically correct order and properly identified the earth’s initial conditions. For the next year and a half I spent about an hour a day searching the Bible for scientific and historical inaccuracies. I finally had to admit that it was error free and that this perfect accuracy could only come from the Creator Himself. I also recognized that the Bible stood alone in describing God and His dealings with man from a perspective that demanded more than just the dimensions we humans experience (length, width, height, and time). Further, I had proven to myself, on the basis of predicted history and science, that the Bible was more reliable than many of the laws of physics. My only rational option was to trust the Bible’s authority to the same degree as I trusted the laws of physics. By this time I clearly understood that Jesus Christ was the Creator of the universe, that He paid the price that only a sinless person could pay for all of my offenses against God, and that eternal life would be mine if I would receive His pardon and give Him His rightful place of authority over my life. I had understood enough Scripture to know, however, that this commitment could not be a secret one. It had to be public, and that meant letting my peers and professors and family know about it I feared the contempt and ridicule that surely would come. So, for several months I hesitated. During those months I experienced a strange sense of confusion. For the first time in my life, my grades dropped and I had difficulty solving problems. I was discovering the meaning of Romans 1:21, which says that when a man rejects what he knows and understands to be true about God, his thinking becomes futile and his mind darkened. The eventual consequences spelled out in the succeeding verses chilled me. I knew what I had to do, but my pride seemed too great. One evening I prayed, asking God to take away my resistance and make me a Christian. I prayed this way for six hours with no apparent answer. Finally, I realized that Jesus Christ will not force Himself upon anyone, even if asked. It was up to me to humble myself and invite Him in. And this is what I did at 1:06 in the morning. I then signed my name to the “decision statement” at the back of my Gideon Bible, acknowledging Jesus Christ as my lord and Savior. Right away I sensed an assurance that God would never let me go, that I was His forever. My fears of ridicule from unbelievers subsided gradually, and day by day I began learning how to share my discoveries of spiritual truth with fellow students and faculty. However, without the benefits of fellowship with other Christians, I found that my growth in Christlikeness was stunted. Every once in awhile I would visit a church, only to discover a cult or a group who called themselves Christians but did not take the Bible seriously. On arriving at Caltech for post-doctoral studies, I met a serious Christian at last, Dave Rogstad. 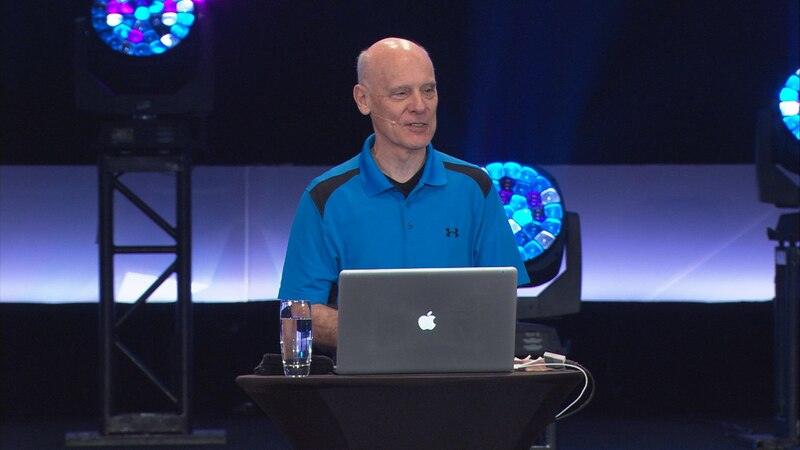 Dave invited me to attend a seminar with him on applying Biblical principles to daily living. There I sat with 16,000 committed Christians all in one building. I was overwhelmed to find that so many Christians existed, and I was helped and humbled by the things I was taught. 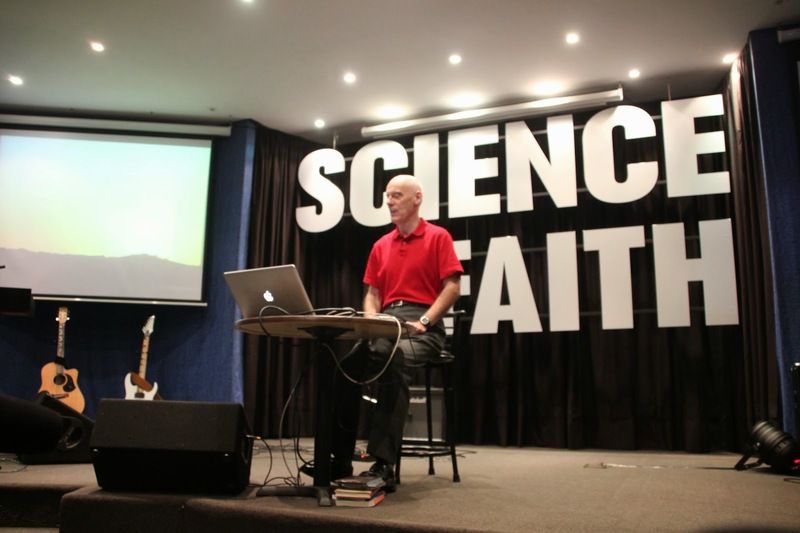 Within weeks of that seminar I found myself not only attending home Bible studies but helping to lead them. Dave challenged me to begin sharing my faith with non-Christian non-scientists. I was surprised to observe that unlike scientists, who tend to struggle more with their will than with their mind in coming to Christ, the non-scientists I met tended to struggle more with their mind. If only they could see convincing evidence that God exists, that Jesus is God, and that the Bible is true, they would readily give their lives to Christ. What a joy! I began spending more and more time sharing the evidence with others. Within a year I was serving full-time as the minister of evangelism for Sierra Madre Congregational Church. Ten years later, when breakthrough discoveries in the sciences virtually sealed the scientific case for the God of the Bible, a group of friends urged me to form an organization, Reasons To Believe, to communicate this new evidence as widely as possible. It is my delight to report that for each year that I have known Jesus as my lord and Savior, my joy in Him and, in sharing His truth with others grows greater. There is nothing in this world for which I would trade my relationship with Him. Reasons to Believe emerged from my passion to research, develop, and proclaim the most powerful new reasons to believe in Christ as Creator, Lord, and Savior and to use those new reasons to reach people for Christ. 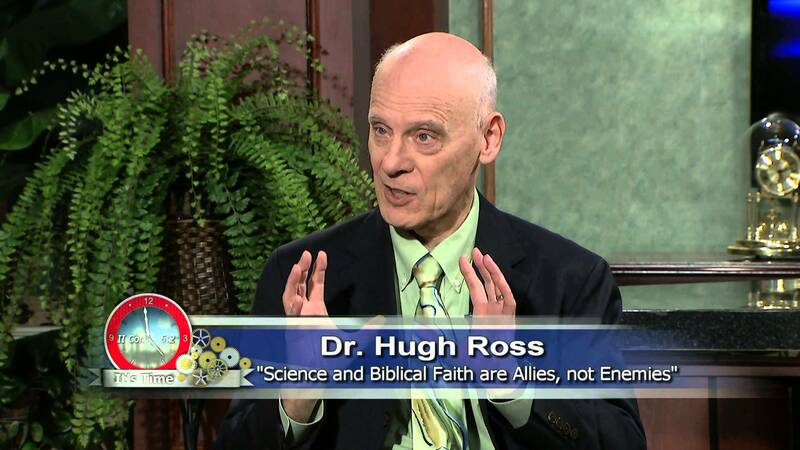 Read more about Dr. Hugh Ross.